Migraines hurt. Migraines are stressful. 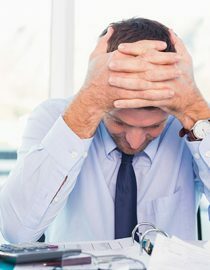 The interaction between stress and migraines is a delicate one to balance as the pain triggers stress and the stress triggers pain. The pain associated with migraines puts your body in a state of emergency, as you will do anything to reduce the pain. Desperation can provoke highly useful behaviors or decisions that only focus on instant relief. When you are experiencing pain, you are not performing at your best and aspects of your life that need attention are ignored in the name of instant gratification. In the short-term, this is not problematic as you can quickly pickup where you left off after a day or two. In the long-term, ignoring part of your life becomes neglecting part of your life. Neglecting something is one of the best ways to ensure that it becomes awkward and dysfunctional. Consider the example of dominoes lined up on edge. You have worked hard throughout your life to line up and organize the dominoes in a particular way. What took you years to organize, hangs in peril as any move can undo your progress. Migraines push the first domino over which bumps the next domino. Soon, each domino falls systematically so they are all laying flat on the floor. The reach of migraine knows no bounds as they can affect almost every aspect of your life. 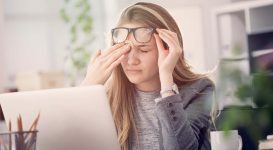 To limit the unwanted impact, you must gain awareness of the situations, identify where and when migraines influence you and find appropriate, healthy coping skills to counteract the undesirable influence of migraine. 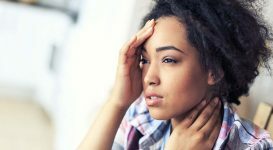 The most obvious impact of migraines is quite possibly the most severe. Even with the best treatment, migraines can be extremely painful and completely debilitating. Some people with migraines have pain centered to specific areas of their head while others report widespread pain throughout their body. People that suffer from migraine with aura experience distorted visuals that further add to the negative incident. To address the physical, consult your doctor. 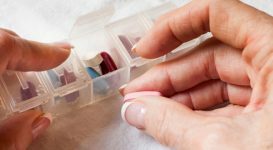 There are multiple medications available to you that limit the impact of your next migraine, improve symptoms once they have begun and extend the periods between incidents. Be open, direct clear with your doctor so he can better understand your symptoms. Keeping a migraine journal will provide you and the doctor with useful information. 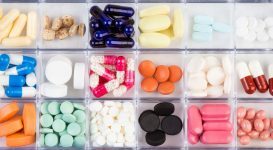 If you are finding limited success with your doctor, looking into alternative treatments including natural remedies and complementary and alternative medicine (CAM) may prove useful. These encompass many treatments options that have benefited many people over the years. Some swear by using an herb, vitamin, root or tea to treat their migraines. The good news is many of these remedies are readily available, affordable and side-effect free. CAM treatments include acupuncture, chiropractic, yoga and hypnosis. 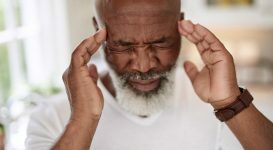 Some find meditation and relaxation techniques beneficial in prevention and damage control situations. Next page: impacts on your mental and spiritual health.